The University of North Texas has named George Alfred James, a distinguished faculty member in the department of philosophy and religion, as its first Bhagwan Adinath Professor of Jain Studies. Houston: The University of North Texas has named George Alfred James, a distinguished faculty member in the department of philosophy and religion, as its first Bhagwan Adinath Professor of Jain Studies. The professorship aims to promote Jainism, an ancient religion of India, in the US. It was created in the university's College of Liberal Arts and Social Sciences with a USD 500,000 gift from the Jain Education and Research Foundation, the university said in a statement. Jain professorship at University of North Texas (UNT) "will help to fortify the religion program and provide UNT with distinction", James said. 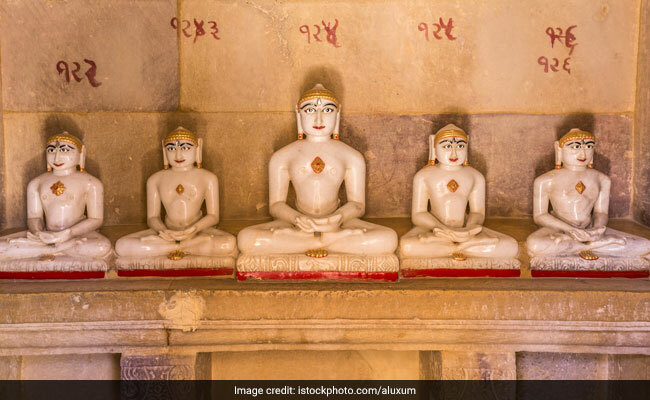 "Not every university includes information about Jainism as part of its courses, but there's a long legacy of the influence of Jainism throughout history. The religion's idea of nonviolence was extremely influential on Gandhi and also Martin Luther King, who adopted Gandhi's actions during the civil rights movement," he said. David Holdeman, dean of the College of Liberal Arts and Social Sciences, said many faculty members and students in the college and at UNT are interested in cultural and social issues pertaining to India. "We hope that the Jain professorship will help to foster additional discussion not only of Jainism in particular but also of Indian religion and culture more generally. We are excited and grateful to be able to launch this new professorship," Holdeman said. The Jain Education and Research Foundation established the first Jain professorship in the US in 2010 at Florida International University. The professorship at UNT is named for the first Tirthankara, a spiritual guide in Jain tradition who preaches the dharma, or righteous path. James, who joined the UNT faculty in 1983, has included information about Jainism in the courses on South Asian philosophy and world religions that he teaches in the Department of Philosophy and Religion. He also studies environmental movements in India and has travelled extensively to the nation for his research. The central tenet of Jainism is non-violence and love toward all living beings, with non-violence, non-absolutism and non-possessiveness as the three main principles.